Earlier, I posted about creating an angular 6 based app with VS 2017. It’s a pure Angular 6 app and doesn’t use features comes with the ASP.NET Core SPA template. At the time of writing this post, default ASP.NET Core SPA template for angular points to angular 5. The SPA template uses angular on the client side and ASP.NET Core as back-end. It uses a package Microsoft.AspNetCore.SpaServices as a middleware to provide different configurable options for your application such as HMR (Hot Module Replacement), Routing Helper, SSR (Server Side Rendering) etc.. In this post, let’s find out how to create an angular 6 app with ASP.NET Core 2.1 and implement ASP.NET Core SPA template features in the same app. 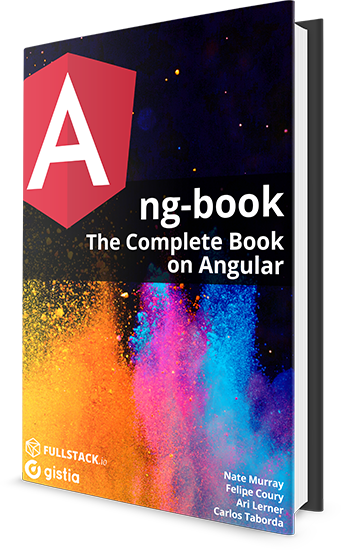 Now, let’s add Angular 6 app to this project through Angular CLI. To do that, open command prompt and navigate to the project folder directory. First, install/update the Angular CLI using the following command. To create angular 6 based app, navigate to the ASP.NET Core project root folder (where the project’s .csproj file is present) and run the following command. This will take some time to create the app. Once created, the project structure will look like the following. Here, the published scripts/files/images will be copied to the dist folder inside the ClientApp, hence configuration.RootPath = "ClientApp/dist". Finally, delete "launchUrl": "api/values" from the Properties/launchSettings.json file. Build the app and run it. You should see the following. Let’s us extend this application and call the ValuesController API from the angular app. To do that, open app.component.ts and add code to call the API using HTTPClient. Next, import HTTPClient in app.module.ts. Finally, add the following HTML to app.component.html to display the values returned by the API. Run the app and you should see the values returned from the API. My Properties.launchSettings.json is marked as ignored in Solution Explorer, as is the “dist” folder under ClientApp. I suspect these were added as part of the default project template when I decided to upgrade Angular to version 7.1.2 and copy ClientApp manually into the core 2.1 solution. because I want to evolve my asp.net core 2.1 web api into something big with secure sign-in password account sign-up, etc, etc. So, should the page that is displayed when running the API be the index.html in the ClientApp or should it be the Areas.Identity.Pages.Account.Login.cshtml.cs ? If so, how do I make sure the first page hit is the login or sign-up, etc when I type npm start in the command prompt and then run IIS express in the API ? Is the fact that I have the Identity Scaffolding causing those folders to be marked as ignored ? I am using VS 2017. I am getting this error “Cannot GET /” . Same spa path only apply spa.Options.SourcePath = “ClientApp”;. Can you check and how to resolve the error. And Also I am implement angular 6 HttpClient. that time my code can’t work properly. he SPA default page middleware could not return the default page ‘/index.html’ because it was not found, and no other middleware handled the request. Do I have to do something special to make sure these my angular pages are published? you could try the following. Create an Angular 5 .net core app via the template from VS. There is a section in the csproj called , copy and paste that to your A6 csproj and try to publish. The section name is ‘Target Name=”PublishRunWebpack”‘. This somehow got lost in my last comment. The first tutorial had “Here, the angular app name must be same as your project name.” but this one is different with “ng new ClientApp”. If you do a “ng new Angular6SPAApp” as per first tutorial and use “c.RootPath = “ClientApp/dist”;” code from second tutorial you get “directory is invalid” npm exception. That way, when I mentioned the following, the Angular “ng build” process will put the files where the Visual Studio 2017 Publish command will expect them to reside, which will result in a successful deployment (to Azure Web Services, for example). Correct me if I misunderstand, but instead of pointing to ClientApp/dist, shouldn’t the ConfigureServices method of Startup.cs point to wwwroot? If you publish the application to Azure Web Services, isn’t wwwroot the ONLY place it will look for files? I have a big problem with tha implementation. With that crazy arquitecture, is dificult to understant how ASP.NET core is using Angular. corsBuilder.AllowAnyOrigin(); // For anyone access. corsBuilder.WithOrigins(“https://localhost:5001”); // for a specific url. Don’t add a forward slash on the end! Can any one generate a grat post to explain explicitly how Angular is running inside ASP.Net core????? Thank you, awesome work. I got you a coffee. I guess this is because we did not use the angular template. Could you write an article or enhance this one how to publis everything? Thank you for showing your support. Let me take a look at the publishing issue and will update either this post or create a new post very soon. were you able to resolve the publishing issue? Awesome work. I got you a coffe. Unfortunatelly when I try to publish my application the web content is missing. I guess this is because we don’t use the angular SPA template where the dist files are copied. Could you create a post where this is described or enhance this one? Hi. Thanks for great post. But How can I implement SASS with the new Angular 6 core structure which webpack.config file has gone. When generating the ClientApp, use the following to have the default styling file extension changed from .css to .scss. Tested with Angular-CLI 6.0.8 and Angular 6.0.4. Thanks for the great post. However, the app is failed to render the new changes. I mean, when I change the TS or HTML files, it should render automatically. How can I do this? If I run the app using “ng serve”, the app would be running on port number http://localhost:4200/. The problem is, I can’t access web API with this host. Please advise. Yes, I see. You need to enable HMR in the SPA templates. Read ALEXANDER comments in the same post. He has done the same. The angular app at http://localhost:4200/ got failed to access the VS web project, says http://localhost:3737/, is because of the browser’s same origin policy. It is a normal safety measure. Web browser treats the difference in port numbers as two different domain/origin and thus making ajax call from :4200 to :3737 (and any other port numbers) will always fail. But there is way to “bypass” this safety measure (during development only!) — simply by adding a HTTP header “Access-Control-Allow-Origin: http://localhost:4200” at all (ajax) response returned by server. if (env.IsDevelopment()) // only add such header at dev env! Only that I’ve made this project and thought It were fine to add a support real HMR (now there’s reload a whole page “on save” and this is not very good). But here there are some moments that need to be corrected. I would be happy if I could help someone. (правильно, [APP_NAME] заменить на имя своего приложения) – ignore. In 3) in the second “hmrBootstrap( module, bootstrap )”; just ytbefore “bootsrap” it is necessary to put expression !any!, where instead of the sign “!” use angle brackets (they disappeared in my previous comment on the dispatch). Alexander, Is it possible for you to share this code on github? I would like to create a post out of it. Awesome post! Exactly what I was looking for and very simple to follow. Thank you. Great post! This is essentially the “V2” template, but nice to see it broken down in this manner. Can you please tell me what was problem. Also install Microsoft.AspNetCore.SpaServices.Extension nuget package, if not installed. Although it should be installed. Thanks It’s build now :-). NPM (Node package manager) is not installed. Please check the post for list of installation required. If it is installed, then make sure the entry is there in Environment PATH variables. I am getting the same error, and I have NPM installed and it is in in path. There is something wrong either with NPM or Angular CLI. Make sure both are installed and available in PATH variables. Angular CLI should be installed globally as Visual Studio will start the angular CLI server to run the app. What is weird is this worked fine until I added the the Spa stuff. I had followed your last tutorial and everything ran fine. Once I added the SPA items from this blog, it blew up. I will try re-installing Angular. I have already re-installed Node but that did not help. That’s weird. As I followed the same steps and it worked fine. There is one change compare to last tutorial. The angular app needs to be created at ASP.NET Core project root folder (where the project’s .csproj file is present).